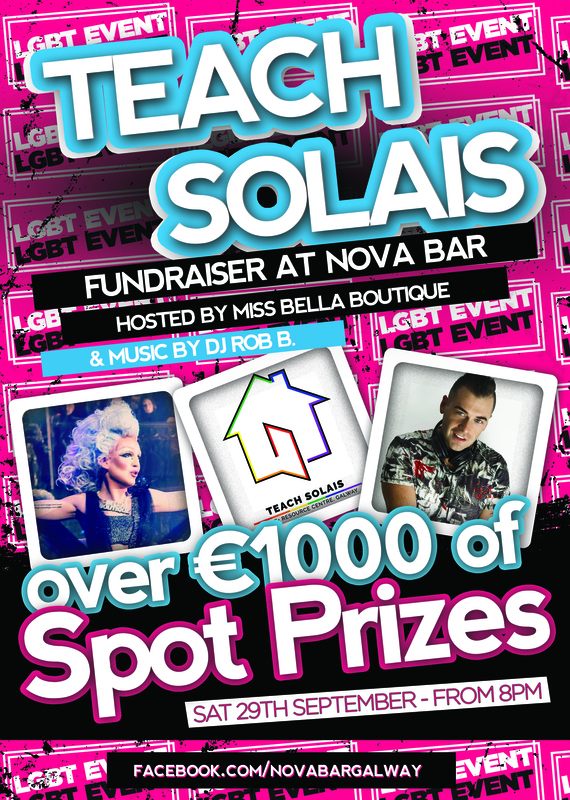 If you’re on the look-out for a fun night out, you could do worse than go to the Teach Solais Fundraiser at the Nova Bar in Galway, on Saturday 29th September. The bodacious Miss Bella Boutique is the hostess on the night, and DJ Rob is at the turntable. The fun starts at 8pm, and with over €1,000 in Spot Prizes, what’s not to like? So go along and have a great night out, for a good cause, at the Nova Bar! (For those who don’t know it, the Nova Bar is at 1, William Street West, Galway).